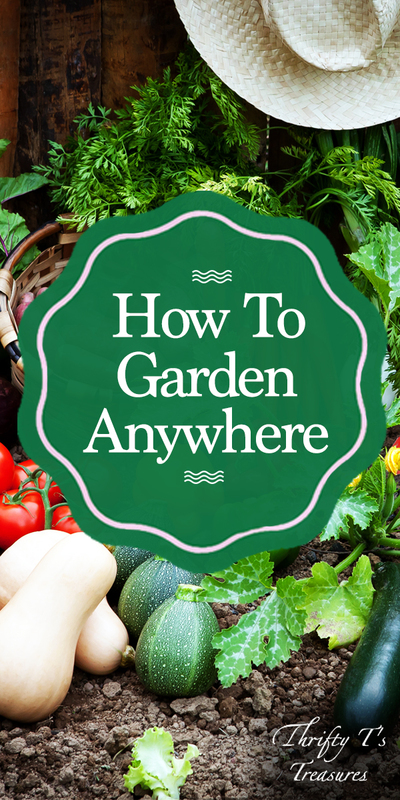 I want to show you how to garden anywhere…well, just about anywhere. If you’re a skeptic I totally get it. Gardening anywhere is possible…and I’ll even be bold enough to say that this way of gardening is gardening of the future. Come take a look! 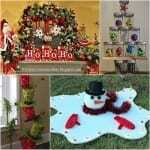 Earlier this year we embarked on a new journey and a fun, new way to garden. Can I just say that I’m in love? Friends, let me introduce you to my Tower Garden. 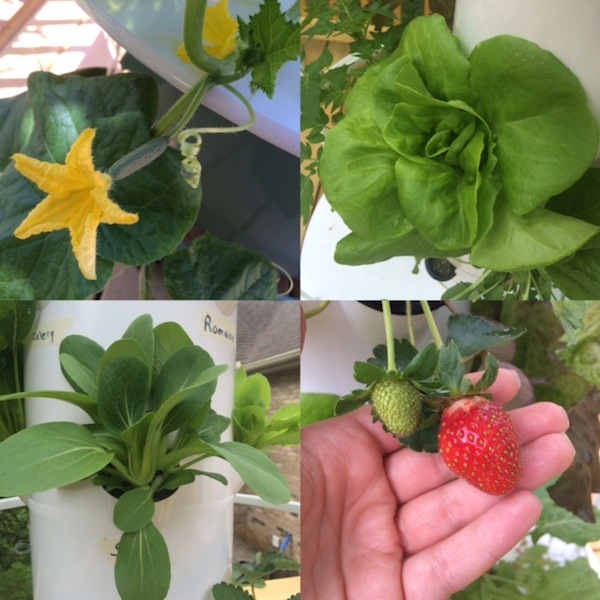 It’s the easiest garden I’ve ever had and it’s right outside my back door on my deck! 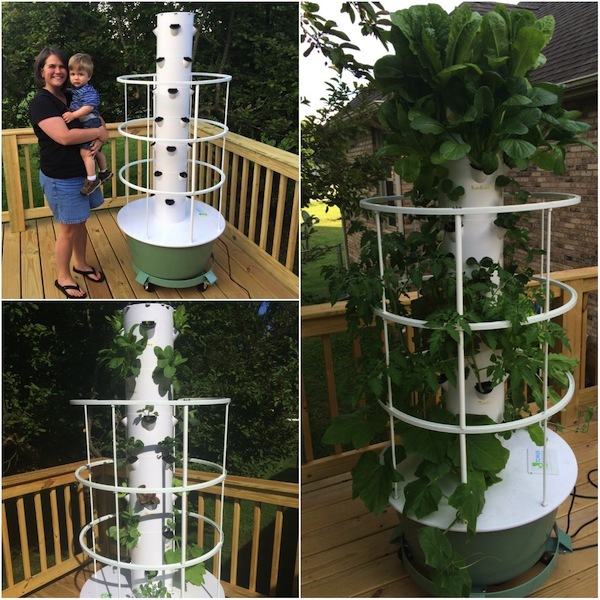 Tower Garden is a vertical, aeroponic gardening system. If you’re new to aeroponics like I was it is the process of growing plants in an air or mist environment without the use of soil. With a 20 gallon reservoir tank at it’s base, a pump (that’s set on a timer) pushes the water and nutrient solution up to the top of the tower. As it journeys down the tower the plant roots are showered. When this process is repeated every 15 minutes fresh oxygen and water are supplied to the roots of your plants. Here, take a look for yourself! Keeping up with a traditional garden isn’t an option for me…I’m a busy momma and just don’t have the time. I’m so thankful to have learned about the Tower Garden because it’s exactly what I need and have been looking for. 1. It’s convenient and I can walk right outside my door and pick a fresh salad for dinner. 2. You don’t have to be a gardener. 3. It costs $1.50 a day for 1 year, then it’s yours for 10-20 years. 4. All the tools and supplies are included (it doesn’t use soil and you won’t need gardening tools). 5. It uses less than 10% of the water of a conventional garden. Yes, I said 10%! 6. 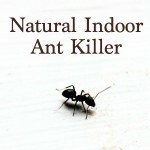 There are fewer ground pest problems. 7. 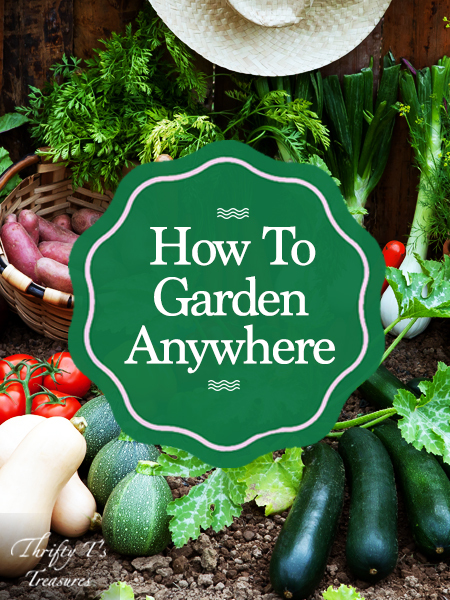 You can grow a garden in half the time of a traditional garden. 8. It uses no harmful fertilizers, pesticides or herbicides. 10. Vine ripened produce is proven more nutritious. 11. It uses 90% less space than a traditional garden. Growth comparison of Week 1 (left) and Week 3 (right). 13. It’s made with food grade plastic which means it won’t leach chemicals into the produce. 14. You can grow indoors in the colder months. 15. 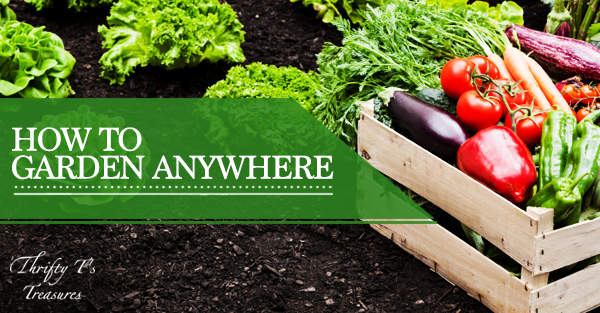 You can grow a variety of produce. 16. Research shows that children who help grow their own vegetables are more likely to eat them. 17. The Tower Tonic nutrient solution helps produce strong, healthy plants that are more resistant to pests and disease. 18. 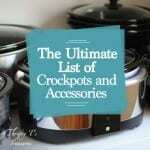 It has a double UV protective coating which means it will last in the sunshine for years. What do I need to start a Tower Garden? Everything you need to start your Tower Garden comes right inside the box! You’ll need to plug the Tower into an electrical unit and it will need 4-5 hours of direct sunlight each day. If you’re growing indoors you’ll need grow lights. 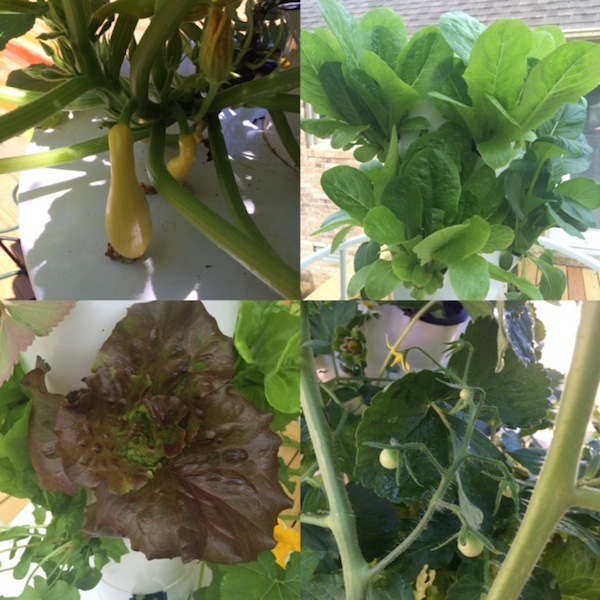 Check out more Tower Garden video updates on my Facebook page (Tower Garden Adventures playlist). What kind of upkeep is there with a Tower Garden? While you’re checking the water level you’ll also want to keep an eye out for unwanted pests/bugs. 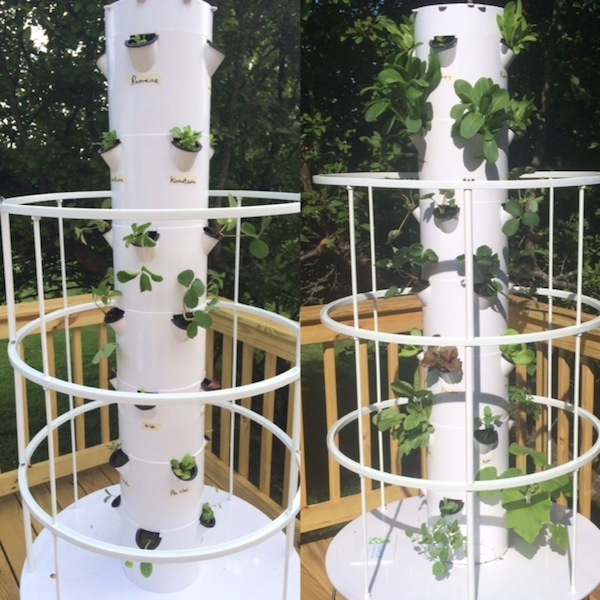 As you can see, it really is possible to garden anywhere…and I love that gardening can’t get much easier than a Tower Garden. I’d love to talk more with you and answer any additional questions you might have about the Tower Garden. Feel free to email me here with your questions. And if you’re ready to get started gardening with a Tower Garden you can go here to buy your very own. (shipped to your door) with your Tower Garden order! 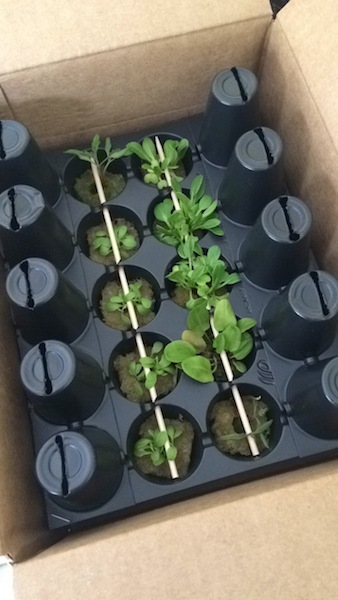 The seedlings are my thank you gift to you to help you get your Tower Garden started. Please mention this offer when I contact you about your order.